How a simple card game adventure evolved into a full-blown single-player RPG. 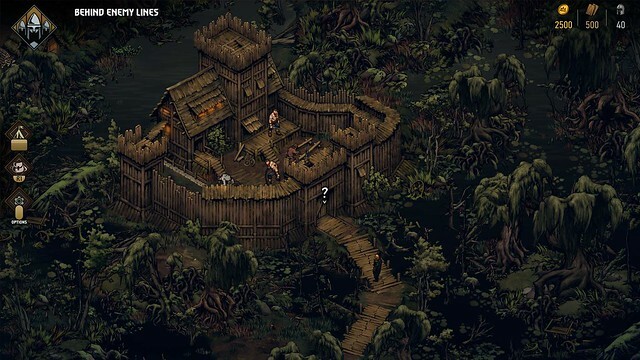 Thronebreaker: The Witcher Tales is a brand new adventure set in the dark world of witchers and monsters you might remember from The Witcher 3: Wild Hunt. Today, I’m thrilled to tell you more about how what started out as a simple card game adventure evolved into a single-player RPG that combines narrative-driven exploration with unique puzzles and turn-based card battle mechanics. For as long as I can remember, I was always drawn toward card games, their illustrative and fantastical format always thrusting my imagination into overdrive. I think the first digital card game I ever played and completely fell in love with was Arcomage in Might & Magic VII. I also remember watching my friends play Magic: The Gathering a lot back when I was a kid. After that it was Etherlords, which I thought was a marvelous idea — combining mechanics of Heroes of Might & Magic, of which I’m a huge fan, with the card game format. Over the years I also had multiple run-ins with other digital card games — different editions of Magic: The Gathering, Duels of Champions, just to name a few. So when I was asked three years ago if I would like to work on Gwent’s single player campaign, memories of how much fun I had playing these kinds of games in the past instantly came rushing back to me. The idea seemed like a great vessel for telling new stories in The Witcher universe, and doing so from new perspectives both gameplay and story-wise. 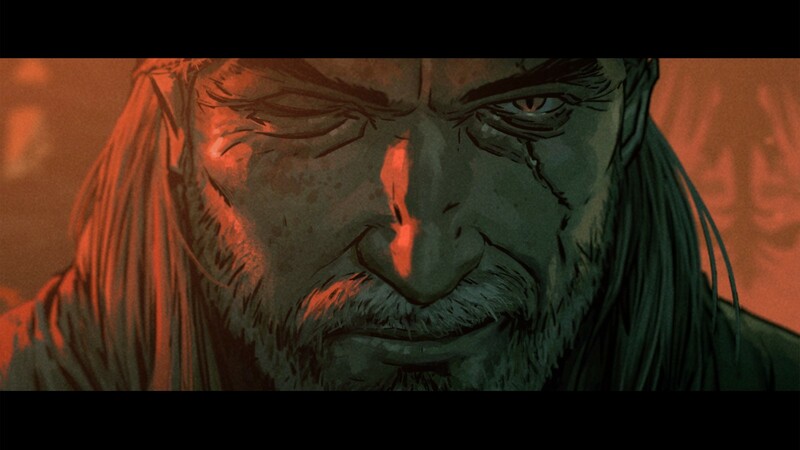 New genre, characters, mechanics, and possibilities, and all of it set in the morally grey world of The Witcher, where every choice you make has a tangible consequence. As a developer, a gamer and card game enthusiast, as well as huge Witcher fan, I was blown away. Needless to say, but I’ll say it anyway — I was totally in. Development started off with a simple design. Exploration would take place in an isometric perspective. Players would travel between nodes on a world map, each one representing different story bits, with combat taking place in the form of Gwent battles. At this point I would write very general ideas for the story. One of those ideas involved having the game follow the tale of Queen Meve of Lyria and Rivia — a prominent, yet up until this point largely unexplored character from The Witcher saga. The idea quickly caught on within the team, and we kept building up from there. It wasn’t long before we started testing what would happen if we introduced free movement on the exploration map instead of the node-based design. An inevitable discussion about asset scale started soon after — how big should the player’s character be compared to objects in the world? A realistic scale would limit the size of playable areas. On the other hand, a full out-of-scale approach didn’t seem to fit all that well, either. The answer we were looking for was right in the middle — a scale that is closer to realism, but still undefined enough to allow players the possibility of exploring vast and varied areas, with Meve’s character representing both her, as well as her army. The side effect was that maps ended up getting significantly bigger. As the world around the player kept growing, we had to find ways to further breathe life into it, which meant creating more content. 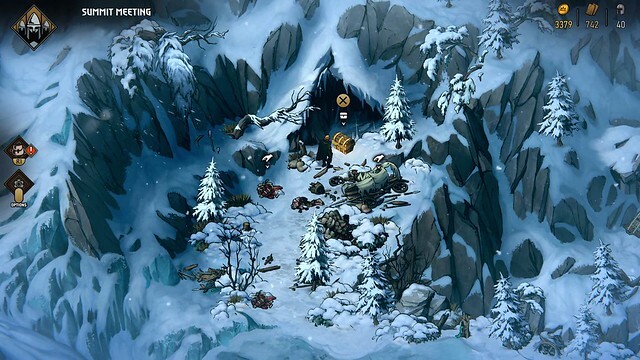 This included not only quests, but also NPCs, locations, events, and encounters taking place on the map, as well as systems such as buried treasures, interactive objects players can engage with, and so on. At the same time, the story was getting bigger, too, and we found ourselves requesting more and more assets: cutscenes, additional systems on top of the ones we already had, both within the game world, as well as in the player’s customizable battle camp. One discussion led to another, and soon what was 10+ hours of gameplay became an actual RPG featuring over 30 hours of story-driven gameplay, where card battles are just one part of a much bigger experience. 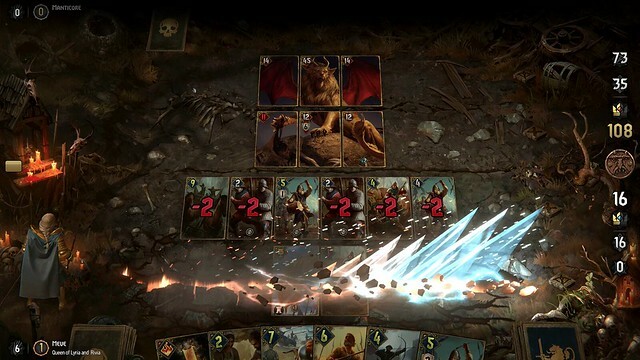 This is when we started considering dividing Gwent and Thronebreaker into two separate games. We wanted to communicate clearly that the tale of Queen Meve is no longer a short story adventure for Gwent. It’s a fully-featured, standalone game, and a Witcher tale through and through, that you can fully enjoy whether you’re a long-time fan, or new to this universe. Making the game was a thrill for the team. It is our hope that you’ll love playing Thronebreaker when it launches on PS4 December 4, as much as we enjoyed creating it. 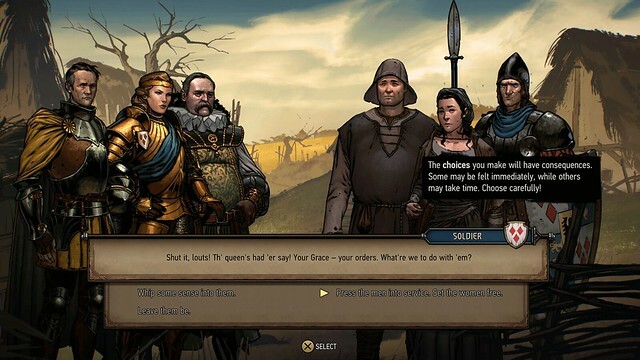 As is CD Projekt Red tradition, Thronebreaker will come with a bunch of free digital goodies, whether you pre-order the game right now at PlayStation Store or buy it post-launch. 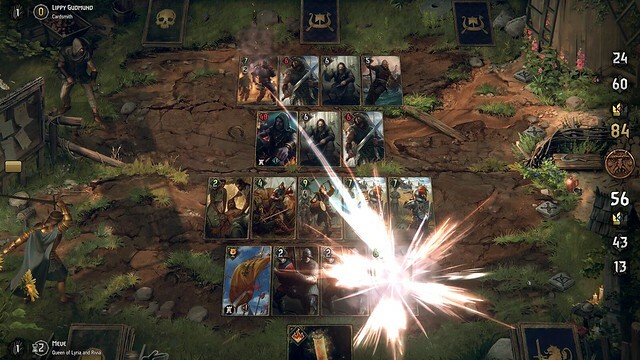 These include Thronebreaker’s epic soundtrack and beautiful concept art, “Gwent: Art of The Witcher Card Game” artbook and “Fox Children” graphic novel from Dark Horse, as well as Card Kegs, player titles and avatars for Gwent. This looks awesome! I loved the Witcher 3 so will be picking this up for sure. P.S will there be a physical version of this game? I can’t wait to buy this. Seems right up my alley, but please, I’m begging you, don’t pull any freemium stunts. I’m pumped!! Will we encounter any witcher’s?